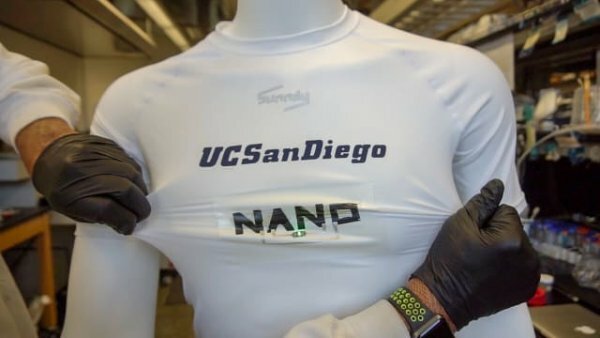 Nanoengineers at the University of California San Diego have developed the first printed battery that is flexible, stretchable and rechargeable. The zinc batteries could be used to power everything from wearable sensors to solar cells and other kinds of electronics. The researchers made the printed batteries flexible and stretchable by incorporating a hyper-elastic polymer material made from isoprene, one of the main ingredients in rubber, and polystyrene, a resin-like component. The substance, known as SIS, allows the batteries to stretch to twice their size, in any direction, without suffering damage. The ink used to print the batteries is made of zinc silver oxide mixed with SIS. While zinc batteries have been in use for a long time, they are typically non-rechargeable. The researchers added bismuth oxide to the batteries to make them rechargeable. “This is a significant step toward self-powered stretchable electronics,” said Joseph Wang, one of the paper’s senior authors and a nanoengineering professor at the Jacobs School of Engineering, where he directs UC San Diego’s Center for Wearable Sensors. The prototype battery the researchers developed has about one fifth the capacity of a rechargeable hearing aid battery. But it is one tenth as thick, cheaper and uses commercially available materials. It takes two of these batteries to power a 3V LED. The researchers are still working to improve the battery’s performance. Next steps include expanding the use of the technology to different applications, such as solar and fuel cells; and using the battery to power different kinds of electronic devices. Researchers used standard screen printing techniques to make the batteries–a method that dramatically drives down the costs of the technology. Typical materials for one battery cost only $0.50 USD. A comparable commercially available rechargeable battery costs $5.00 Batteries can be printed directly on fabric or on materials that allow wearables to adhere to the skin. 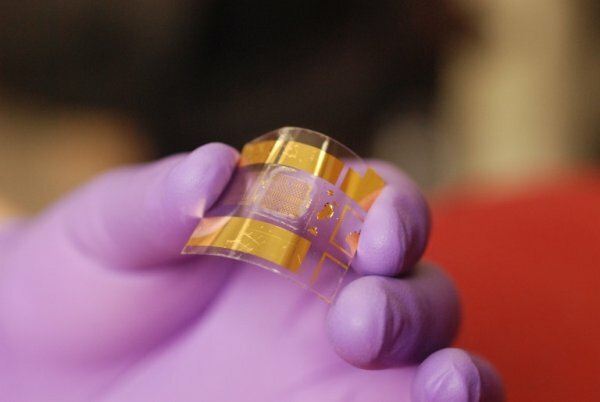 They also can be printed as a strip, to power a device that needs more energy. They are stable and can be worn for a long period of time.